UNMC is now on Instagram. The campus recently opened its first Instagram account at instagram.com/iamunmc. People can search for the account within the Instagram app with the handle @IAMUNMC. "UNMC is excited to be expanding its digital presence, and providing a new way for our students, faculty and staff to visually share their UNMC experience," said Abby Meyer, web content and social media specialist for the university. 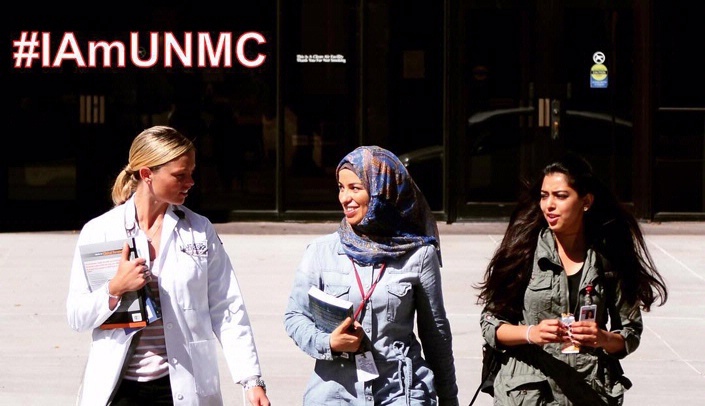 "In addition to adding the @IAMUNMC Instagram to the university's Twitter and Facebook accounts, the #IAMUNMC hashtag kicks off a social campaign that encourages individuals to share their personal UNMC experiences across all of UNMC's social platforms. "Instagram is a visually-driven platform that gives a unique perspective into life on campus through photos and videos," Meyer said. "Allowing the community to engage with UNMC through this social outlet will give powerful insight into the great impact UNMC has in the lives of students, faculty, staff and the community." The new Instagram feed went live on Wednesday, and already features photos from the Health Science Education Complex grand opening in Kearney, held on Thursday.